I would like to think that I write from before the Internet became what it now is. Yet, there is no denying that this does make writing and reading easier. This blog is a catalogue of my writings, for myself and those who would care enough. As I continue to post in various places over the net, this blog will become the central resource for the worthy pieces. It also gives me a platform to write without an excuse or as a response. Comment if you want to, or just read away! Starring: Gal Gadot, Chris Pine, Robin Wright, etc. Patty Jenkins returns to the director’s chair after 14 years to give us Wonder Woman’s definitive superhero origin movie. 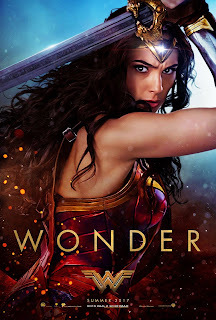 Not that there has been another one, but Wonder Woman is so sure-footed and delightful that it establishes its titular heroine to film-lore with a permanency similar to Richard Donner’s Superman. The film’s narrative drives on an emotional core, preferring to allow the audience not just discover a new superhero and her powers but to connect with Wonder Woman’s need to save people. Another new year begins with renewed hope for a year of good times at the cinemas. A year ago the first half of 2016 seemed exciting, but ended up being dismal with mostly terrible summer releases. A bad year though tends to be followed by a good one, and 2017 indeed has the potential to provide the rebound that we need from 2016’s slate. Following is the first list of movies to look forward to in this new year, with focus on the release schedule of January to June. There will be a second list at the advent of July for movies to look forward to during the second half of the year. So, what's in store? While fans of franchises will not be disappointed, there are also enough original films in this list to excite those tired of studio-driven cash-grabs. Read on, find out what upcoming movies suit your taste, and mark the dates! Note: Release dates mentioned are for the USA, for the sake of some order. They are also, owing to alleged potential Russian hacking, subject to change. 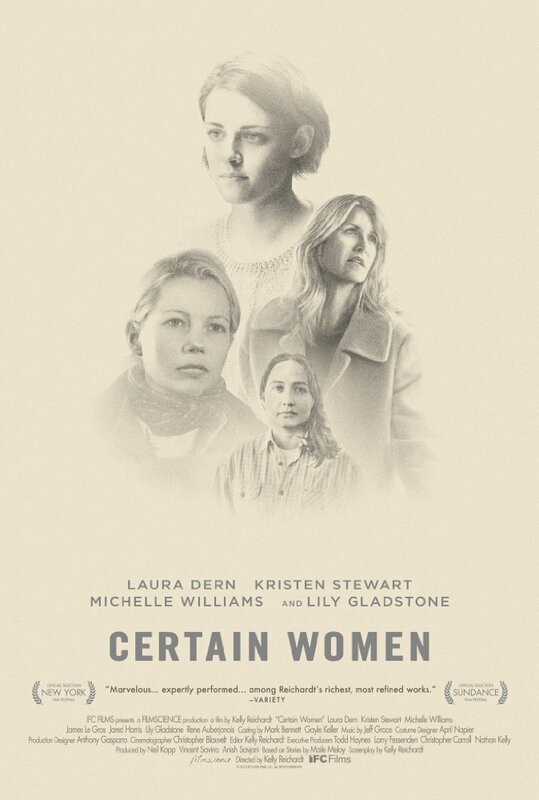 Starring: Michelle Williams, Kristen Stewart, Laura Dern , etc. There is a serenity to Certain Women that is pleasing to watch. This is an unambitious movie, driven by a simplistic desire and therefore quite fulfilling. 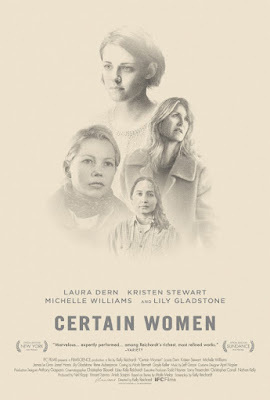 Even though it stars recognizable Hollywood stars, the film focuses on ordinary lives of ordinary people and does a wonderful job of fitting into that Goldilocks zone where it is neither pretentious/exploitative, nor experimental/amateur. 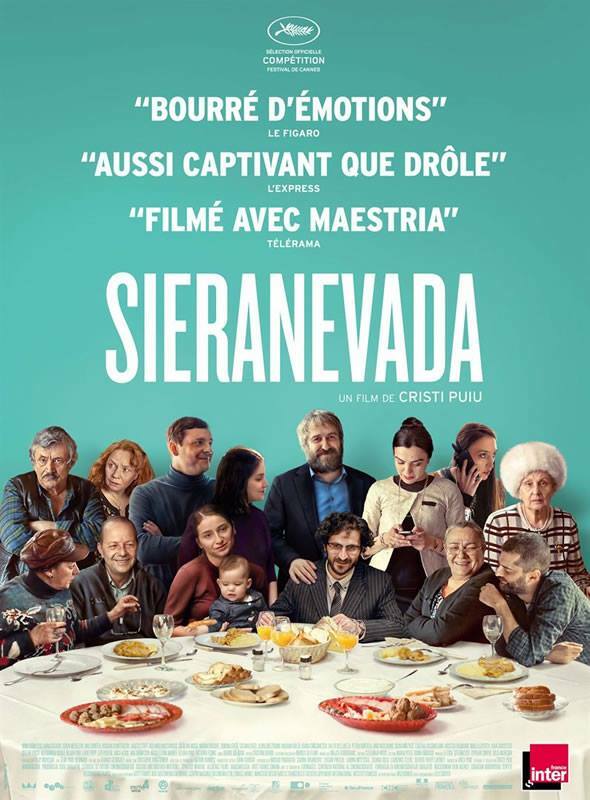 Starring: Mimi Branescu, Judith State, Bogdan Dumitrache, etc. 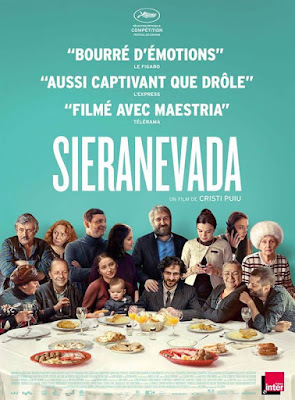 Sieranevada starts on a promising shot, one that seasoned film-goers will savour for how it is set up and the promise it holds for the rest of the movie. A single long-take, it observes a family on a street-side corner as they go about an everyday task – stopping their car in an artery road (blocking traffic) while the daughter is dropped off at her grandmother’s, the father then quickly moving the car to take it round the block while the mother and daughter wait for the father to drive back. Starring: Eddie Redmayne, Katherine Waterston, Colin Farrell, Ezra Miller, etc. 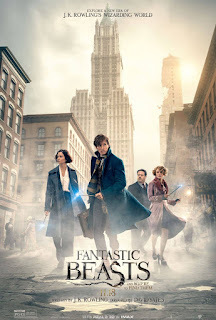 For a movie set in the world of Harry Potter and directed by David Yates who made the last 4 of those movies, Fantastic Beasts And Where To Find Them is surprisingly unengaging. It is also devoid of compelling lead characters, one of the biggest strengths of the Potterverse. The movie though does set out to entertain, and there is just about enough fun to be had to not mark it as a complete failure. Some of the actors too make the film more entertaining than it otherwise would have been. After a lukewarm first half to 2016, the second half beckons, and with it brings promises of a whole lot more movies. Apart from the last few of the summer movies and now the winter movies, we will also get a lot of Award movies towards the end of the year. The best of the lot may not be on our radar yet, so keep an eye out for them. Meanwhile, here is a list of 20 movies we do know about that we look forward to. Note: Release dates mentioned are for the USA, for the sake of some order. They are also, owing to unpredictable referendums, subject to change. Note: This is a spoiler-free article. Everything you see and read here is in the trailer, or is already public knowledge from official announcements and movies released. Suicide Squad continues to amp up interest with a third trailer of mischievous tone. Unlike with most trailers now-a-days, the trailers of this major release don't give much away except for the basic first-act setup and screen-time with most of its major characters. In the second of our Trailer Analysis series, we attempt to find pointers towards the not-so-obvious that was shown in the trailer, and the questions such knowledge raise. Note: This is a spoiler-free article. Everything you see and read here is in the trailer, or is already public knowledge from Marvel’s official announcements and movies released. We were just hit by the awesomeness that is the second trailer of one of this year’s most anticipated films, the Marvel behemoth Captain America: Civil War. The trailer sets up the movie’s basic plot and most of the pieces involved, so a commentary on the trailer itself isn’t really warranted. It is also easy enough to find online discussions, breakdown, commentary and theories based on the trailer for those preferring the information laid out for them. Here, let’s try to attempt something slightly different – you’ll find here pointers towards the not-so-obvious that was shown in the trailer (using screenshots), and the questions such knowledge raise. First, let's watch the trailer again (and again). Starring: Ryan Reynolds, Morena Baccarin, T.J. Miller, etc. Deadpool is an R-rated and decidedly profane film; a superhero movie that is not aiming to please kids, nor is after their pocket money. As a film, it follows the rules of the superhero genre while subverting it at the same time. Though this is a risky move and could have spelled disaster, Deadpool treats its audience with respect while acknowledging their intelligence. Consequently, it develops into an eccentric mix of awesome and absurd. 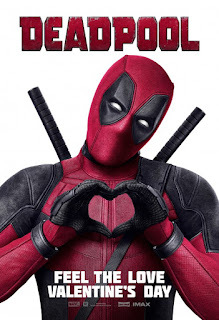 Undoubtedly the director and writers deserve credit for this, but equally deserving is its lead: Ryan Reynolds slips into tight red spandex and the whacky world of Wade Wilson like it were his natural habitat. Starring: Darío Grandinetti, María Marull, Mónica Villa, etc. Six short stories based on one central theme. We’ve seen such anthologies before. 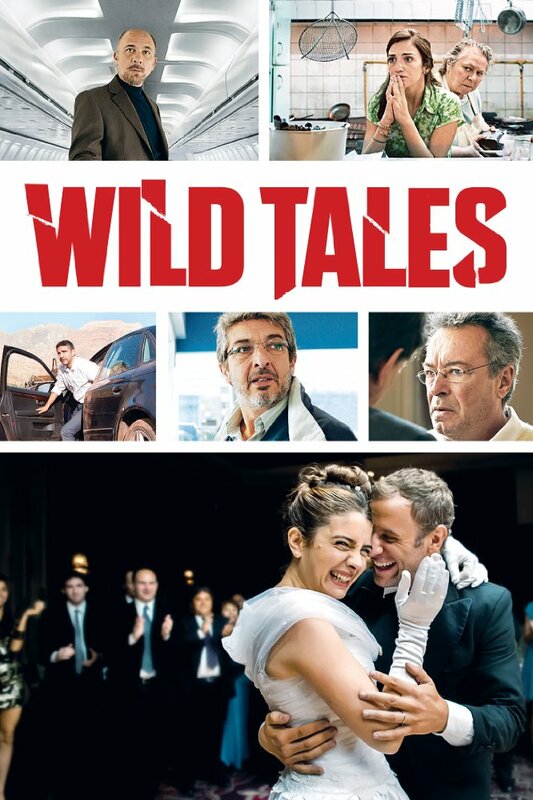 What makes Argentinean film Wild Tales different is that they are all by the same director, and none of the stories or characters intersect. What also makes the movie distinctly different is the sheer quality of the shorts and thus the effectiveness of conveying the central motif. All the stories have an element of violent revenge about them, but more than anything Wild Tales is a deep, dark, satirical social commentary. The contents of this website are licensed under a Creative Commons Attribution-NonCommercial-NoDerivs 3.0 Unported License.